The Nordstream 2 gas pipeline that Gazprom and a number of major European energy companies, have agreed to build, faces formidable political, legal and economic obstacles that may make the project undeliverable, writes Alan Riley, professor at City Law School in London and nonresident Senior Fellow with the Atlantic Council’s Global Energy Center. According to Riley, the overarching problem Gazprom and its partners Shell, Engie, Wintershall, OMV and Eon, face is that the world has changed very much since the first Nordstream was launched in 2008. In this essay, courtesy of the Atlantic Council’s Global Energy Center, he explains in detail why the project risks failure. There are a number of factors that make Nordstream 2 much more difficult to deliver than Nordstream 1. The two most significant factors are questions surrounding the financing of the project and its compliance with EU law. Firstly, Gazprom is in a much weaker financial position than it was when Nordstream 1 was completed. Furthermore, financial institutions are likely to be far less willing to support this project, due to the sanctions imposed on Russia by the European Union and the United States. Secondly, European Union (EU) energy-liberalisation law has progressed in the years since Nordstream 1 was launched. EU law now becomes a significant obstacle to completion of the project on the terms that Gazprom desires. EU regulatory requirements are likely to reduce Gazprom’s control over the pipelines, and reduce its access to the network’s full capacity. The overarching problem that Gazprom and its commercial allies face is that the world has changed very much since the original Nordstream project was launched in 2008. The invasion, occupation, and annexation of Crimea—and the invasion and occupation of eastern Ukraine—by forces of or controlled by the Russian Federation have undermined the basis for cooperation between Brussels and Moscow. The first Nordstream pipeline project was conceived in the early 2000s as a means to avoid conflicts over Ukrainian transit of gas to Europe, and to bring gas to Russia’s most lucrative market, Germany. The project was conceived as having two pipelines—each with a carrying capacity of 27.5 billion cubic meters per year (bcm/y). They run under the Baltic Sea, from Vyborg on the Russian coast to Greifswald on the German coast, passing through the exclusive economic zones of Finland, Sweden, Estonia, Latvia, Lithuania, Denmark, and Germany (and the territorial seas of the latter two states). The pipeline length is 1,224 kilometers, making it the world’s longest undersea gas pipeline. The majority of the permits were obtained in October 2009, while the first pipeline was completed and operations commenced in November 2011. The second pipeline was completed and operational from October 2012. The cost of the project was €7.4 billion, with 30 percent of equity injections from shareholders and 70 percent from financial institutions. The holding company is Nordstream AG, and the shareholders are: Gazprom, with 51 percent; E.ON, 15.5 percent; BASF/ Wintershall, 15.5 percent; Gasunie, 9 percent; and GDF Suez (now Engie), 9 percent. In addition, a number of pipelines that connect to the Nordstream pipeline are substantially owned and controlled by Gazprom. 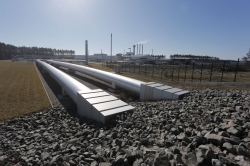 These include the OPAL pipeline, which takes natural gas from the Nordstream pipeline into the German and Czech markets and has a capacity of 36 bcm/y, and NEL, which has a capacity of 20 bcm/y and takes gas into the markets of Germany and the Netherlands. Both pipelines, as discussed below, have been subject to the application of EU energy-liberalisation rules, which have limited Gazprom’s ability to make full use of the pipelines. At the St. Petersburg International Economic Forum in June 2015, Gazprom CEO Alexey Miller announced that Nordstream 2 would proceed with the support of some of the existing partners, along with Shell and OMV. On September 4, at the Eastern Economic Forum in Vladivostok, Russia, a shareholders’ agreement was signed by Shell, OMV, BASF/Wintershall, Engie, and Eon. Gazprom took a 51-percent share, with all the other firms taking 10 percent—save Engie, which would take 9 percent. The proposal would seem to involve taking the same route as Nordstream 1, and also constructing pipelines with the same carrying capacity, which would mean two lines of 27.5 bcm/y each. The combined total capacity of Nordstream 1 and 2 would therefore be 110 bcm/y, just short of the likely total for exports to the EU in 2015. Gazprom will need to find €5 billion for its share of the approximately €10 billion cost of the pipeline. This amount will be difficult to generate from internal funds. Not only does Gazprom have the new Nordstream project to contend with, but also the $55 billion Power of Siberia project, and Turkish Stream—even if Turkish Stream is scaled back to only one or two pipelines, instead of the originally conceived four pipelines. More fundamentally, the recent collapse in the company’s revenues makes it difficult to see how it can generate the capital required. Gazprom’s EU exports fell from a height of 163 bcm in 2013 to 139 bcm in 2014, and they are expected to be even lower in 2015. To make matters worse, the collapse in oil prices in late 2014 has seen a fall in gas prices linked to oil under Russian supply contracts—from approximately $350 per thousand cubic meters (mcm) in 2013 to an average price of $240 per mcm in 2015. The Russian economy ministry estimates that prices could fall as low as $187 per mcm next year; it sees no recovery at least until 2018. Gazprom’s overall revenues are likely to be cut by one third over the next three years, and its EBIDTA (earnings before interest, taxes, depreciation, and amortisation) is likely to fall by 50 percent. Worse still, under increasing competition from Rosneft and Novatek, Gazprom has lost approximately 90 bcm in sales from the domestic gas market since 2006, and domestic sales have declined in each of the last three years. The increasingly gloomy economic prospects for the Russian economy do not suggest that this market will recover, at least in the short term. The Russian response to these figures is that this situation is temporary, and the market will recover. The principal sources of gas in the EU, from the Norway, the Netherlands and the UK are declining. In addition, the major alternative source of supply, North Africa—particularly, Algeria, Libya, and Egypt—is now replete with political risk, making it difficult to bring forward capital investment to develop the region’s resources. The difficulty with this argument is that it does not take account of additional alternative sources of natural gas, particularly liquefied natural gas (LNG). 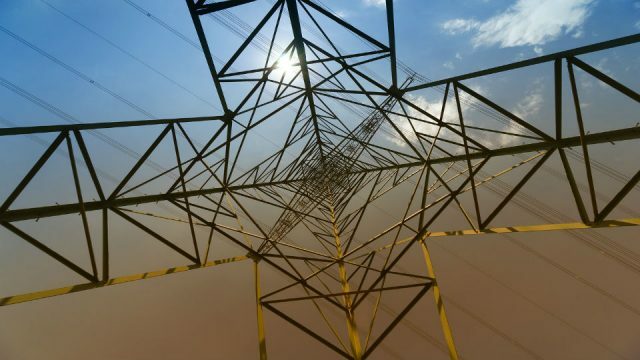 According to the International Energy Agency (IEA), an additional 175 bcm of supplies will come on stream between now and 2020, principally from Australia and Papua New Guinea, and also from the United States. 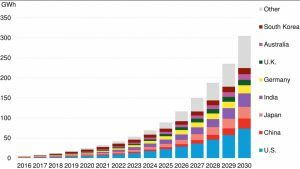 Given this increase in supply over the next few years, plus falling Chinese and Japanese demand, there is a real chance of LNG becoming a considerable source of alternative energy for the European market. Furthermore, marginal-cost LNG is competitive against Russian pipeline gas in the short run, unless Gazprom is prepared to absolutely cut its own margins to the bone. Along with these challenges, the European gas market itself has been shrinking, from 577 bcm in 2008 to less than 500 bcm in 2014. 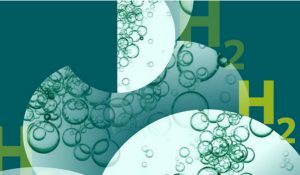 There are a number of factors at play here: first, a stagnant Eurozone market; second, the growth of renewables across the European market, whose onward targets for 2030 will result in even greater deployment in the 2020s; and third, the dumping of cheap coal into the European market (in part, a result of US shale gas displacing US coal and forcing it onto international markets). More fundamentally, the cost of renewables in the EU markets has made utility companies focus on the cheapest possible alternatives. Coal, rather than gas, is the cheapest possible alternative; as a result, even Germany is building 8 gigawatts of coal plants. This is partly a failure of the EU’s Emissions Trading Scheme (ETS), which was supposed to price coal out of the market. This would require a price of approximately €30 a tonne (currently, the price is around €8 a tonne). These factors, which shrink the size of the European gas market, will not be easy to change. Worse still, gas now carries an “energy security,” or “Gazprom,” charge. The effect of this Gazprom charge is that fears about supply security encourage states, energy companies, and utilities to use less gas—or, if they decide to use gas, not Russian gas. If those factors do not raise serious questions in the minds of the investors, there are two other factors to ponder. The first is whether investors will consider the sanctions risk too great. Although Gazprom itself is not sanctioned by the current US and EU regime, there is a knock-on effect in the market. This makes investors wary that the project could be affected if sanctions are tightened. This problem has already impacted the Vladivostok LNG project, as Gazprom is finding it difficult to obtain long-term customers, because of fears that they might be affected by future sanctions. A further consideration involves the award of $50 billion to the principal Yukos shareholders in the Energy Charter Treaty case against Russia, which was heard in The Hague in 2014. This case stemmed from the expropriation of the Yukos oil company by the Russian Federation in 2004. The award against Russia is in the process of being registered as a judgment under the New York Convention. Once that is done, it can potentially be enforced against any Russian state-owned assets not subject to sovereign immunity anywhere in the world. Gazprom is controlled by the Russian government, and 51 percent of its shares are owned by the state. Gazprom, as a commercial gas company, would not be able to rely on any sovereign immunity claim if the pipeline became subject to a claim in the courts of EU member states. Investors would need at least some substantial assurances that the pipeline, or at least the shareholding of Gazprom, could not be seized by the Yukos shareholders. Together, these factors cast a significant shadow on the prospect of external financing. These factors demonstrate that Gazprom is no longer in the fiscal and political environment of this century’s first decade, when its market capitalisation reached $367 billion in 2008. Today, its market capitalisation is approximately $50 billion, and Gazprom is under far greater pressure than when it launched Nordstream 1. This is not to say that it won’t ultimately be able to find the financing for the pipeline. It will, however, be very challenging to find the financing at a price Gazprom will want to pay. One of the most formidable barriers to the full-capacity utilisation of Nordstream 2 will be the rules established by the European Union under the 2009 Gas Directive, and accompanying legislation known as the Third Energy Package (TEP).Under that directive, gas supply must be separated from the network over which it is carried. A number of options are provided by the legislation, from full ownership unbundling to significant restrictions on the gas supplier’s control of the network. In addition, third-party access to the network must be provided to competing gas suppliers. Under Article 11 of the directive, there is also a requirement that any non-EU entity seeking substantial participation in, or control over, a network will be subject to the same unbundling requirements as an EU-based entity. In particular, member states’ regulatory authorities must certify that the foreign owner complies with the unbundling requirements of EU law, and will not put at risk the security of either the member states’ or the EU’s energy supplies. Nordstream can potentially seek an exemption from these requirements under Article 36 of the gas directive. However, several conditions have to be met, including that the investment will enhance competition in the supply of gas. The liberalisation regime set out in the 2009 Gas Directive was still coming into being while Nordstream 1 was being permitted and constructed. Now it is fully in place, and the European Commission and its member states have some experience in operating it. In proposing to launch Nordstream 2, Gazprom and its commercial allies are likely to face a much tougher regulatory environment than that faced by Nordstream 1. As with Nordstream 1, the connecting pipelines to bring Nordstream 2’s gas into the European market will be subject to the full weight of the Gas Directive. The pipelines will have to be unbundled on one of the approved models, and third-party access will be required. If Gazprom is deemed to have control of those pipelines, they will likely need to be certified under Article 11 of the Gas Directive—to ensure that unbundling has occurred, and that Gazprom’s ownership does not threaten national and European supply security. The difficulty for Gazprom is that constructing two extra pipelines into Germany does undermine the supply security of Central and Eastern European (CEE) member states. As a result of Russian gas transit across their territories, those states have access to natural gas. Furthermore, the fact that the gas transiting across their territories is heading for the lucrative Western European market provides the transit states with a degree of supply security; Gazprom cannot cut them off without threatening the supplies to Western Europe. However, as the new pipelines would provide gas directly to Germany, they would represent a supply security threat for the Central and Eastern European states. Russia could cut off existing routes at will, without affecting access to its main Western European market. This would not only deprive those states of transit revenues, but also remove their underlying supply security. It can be argued that this threat is overstated, because of the increasing capacity of EU states to reverse-flow gas from Germany to Central and Eastern Europe. This essentially involves taking Russian gas already sold into the European market via Nordstream, and reverse-flowing the gas using the now- greater range of bidirectional pipeline interconnectors to send gas eastward. The difficulty with this argument is that Gazprom may well seek to undermine reverse-flow operations by restricting supply via its primary supply routes into the European market. There is already some precedent. In 2014 and 2015, Gazprom made it clear to several member states that it was displeased with the agreements to reverse-flow gas to Ukraine. There were clear instances of gas supplies being cut to states that were seeking to provide gas to Ukraine by reverse-flow. Furthermore, relying on reverse-flows via Nordstream 2 not only means relying on Russia not to cut the level of gas flows westward via the new pipeline, but also relying on German cooperation to ensure that the gas does indeed flow eastward. CEE states may be willing to trust German Chancellor Angela Merkel; however, the German leadership might change. The CEE could well face a new Ostpolitik, if a new German chancellor takes an approach closer to that of former Chancellor Gerhard Schröder. It could also be argued, in the alternative, that gas is going to flow solely via Nordstream, and that the Ukrainian transit route will not be utilised at all. This argument, however, does not assist the Gazprom position, as it further exposes how dependent the CEE states will be on Gazprom deciding not to manipulate the flows from Nordstream, and on German goodwill. It is also difficult to see how easily an exemption from unbundling and third-party access could be granted under Article 36. Nordstream 2 does not enhance competition. It merely alters the route of existing gas supplies, which currently transit via Ukraine and CEE states. Equally, by bringing gas via Germany, Nordstream will strengthen Gazprom’s already significant market dominance in the German market. Gazprom will also gain market power by having more choices as to where to place gas markets across Europe, using the two sets of Nordstream pipelines, Yamal, Turkish Stream, and the Ukrainian transit route. A dominant market player holding the capacity to choose where supply should be directed significantly increases its market power. Furthermore, the European Commission is currently undertaking an antitrust investigation into Gazprom, in which it is considering the impact of the exercise of Gazprom’s market power. At the very least, the Directorate-General (DG) for Energy is going to have to liaise with the Commission’s competition department running the case, DG Competition, in considering the competition issues under Article 36. The Commission will want to ensure a coordinated response to the increase in market power with respect to Nordstream, as well as any Article 36 conditions that may be imposed, and any commitments accepted by DG Competition with respect to the antitrust case. The likelihood is that the connecting pipelines will be subject to intense scrutiny from both the European Commission and concerned member states. First, a national regulatory authority—probably for Germany, as this is from where the connecting pipelines will run—will have to make a draft decision on certification of the network operators in compliance with the Gas Directive, considering Article 11 and the application of Article 36. Only then would it be considered by the European Commission. At the very least, it is likely that the Commission will require that Gazprom can only access part of the capacity of any new connecting pipeline. However, it is not only connecting pipelines that have to be considered under EU law; Nordstream 2 itself has to be considered. The fact that the pipeline is offshore does not, in and of itself, immunize the project from the application of EU law. For almost 100 kilometers, the pipeline goes through the territorial seas of both Denmark and Germany. It also goes through the exclusive economic zones of Denmark, Germany, Poland, Sweden, Finland, Estonia, Latvia, and Lithuania. It is difficult to see how the rules of the Gas Directive and accompanying EU legislation do not apply to gas pipelines running through the territorial seas of the member states. The European Court of Justice in Commission v. United Kingdom, in discussing the application of the EU Habitats Directive, was clear that EU law applied with respect to territorial seas. The court also applied the Habitats Directive to the exclusive economic zone. One can argue that this extension was exceptional, as the Habitats Directive had objectives similar to those contained in the United Nations Law of the Sea Convention (UNCLOS), in terms of the protection of marine life. However, the court’s approach in that case was to argue that member states should apply EU law to the fullest extent of their sovereign rights. In fact, UNCLOS has nothing to say about the governance regime for pipeline structures through the economic zone. 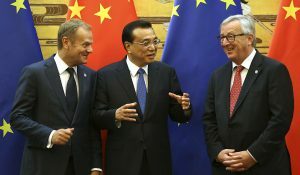 Furthermore, one can make a compelling argument that an attempt to use the exclusive economic zone to run a pipeline from a foreign supplier to an EU country, rather than build a pipeline more cheaply on land through several EU states, is tantamount to an attempt to circumvent the application of the EU’s energy acquis. 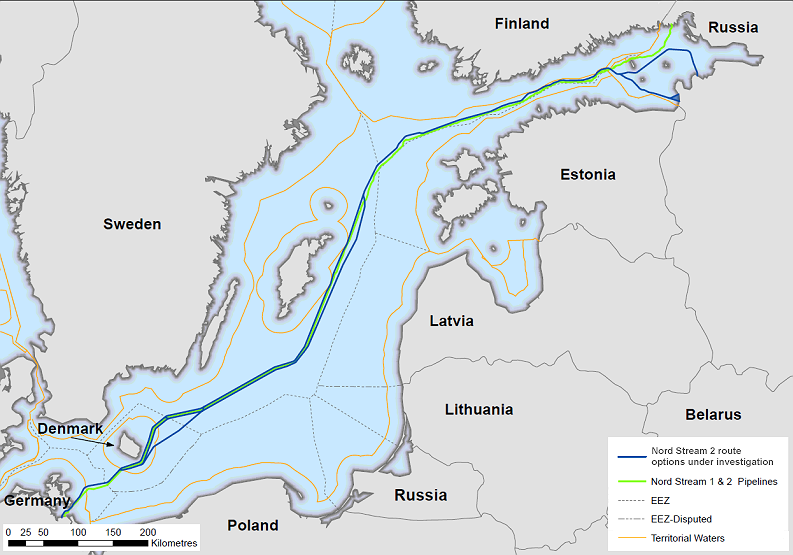 If the European Court of Justice (ECJ) takes this view of the use of the exclusive economic zone for the Nordstream pipelines, then it is likely it will be inclined to extend the application of the acquis to those zones. At the very least, it is difficult to see how Nordstream 2 can avoid the full application of EU law when it enters the territorial seas of Denmark and Germany. There appears to be no legal difference between the application of EU liberalisation law to the Yamal Pipeline once it enters EU territory, and to Nordstream 2 once it enters the territorial seas of the member states. Currently, Polish regulatory authorities are seeking certification from the European Commission for their regulatory regime. The Commission has raised a number of questions regarding compliance with the full unbundling requirements of the Gas Directive and application of the supply security requirements of Article 11. The initial view, with respect to Nordstream 2, is that it is likely to face formidable legal obstacles, both in terms of the main offshore pipelines and the onshore connecting pipelines. EU energy-liberalisation law is likely to apply to both, requiring compliance with both unbundling and third-party access rules. This will severely reduce the scope for the amount of gas that can be expected to pass through the pipeline. However, one could take the view that as long as Nordstream 2 has powerful EU supporters, such as the German government, then EU law can be overcome. This view is supported by the transcript of the meeting on October 28 where the German Energy Minister Sigmar Gabriel met with President Putin outside Moscow (see the box with the relevant text of the transcript). Sigmar Gabriel: Mr Miller and Mr Matthias Warnig will continue to pursue Nordstream 2 project. This is in our interests; but it is not just in Germany’s interests—it is a very interesting project even beyond Germany’s borders. And in order to limit political meddling in these issues—you are, of course, aware, this is not just a formality—we need to settle the issue of Ukraine’s role as a transit nation after 2019. There are technical reasons for this: you know that Ukraine’s gas transportation system is not in very good state. And, of course, the financial and political role it will play for Ukraine, as will the backflow of gas. As regards everything else, I believe we can handle it. What’s most important is for German agencies to maintain authority over settling these issues. And then, we will limit the possibility of political interference in this project. Source: Kremlin’s official website, http://en.kremlin.ru/events/president/news/50582. Mr Gabriel, it should be noted, is also German Vice-Chancellor and Chairman of the SPD, the coalition partner in Chancellor Merkel’s coalition. At that meeting, Minister Gabriel made it clear that Germany was prepared to avoid ‘external meddling’ presumably by the European Commission by ensuring that all the legal issues remained under the competence of the German authorities. It is however very difficult to see how Minister Gabriel will be able to so subvert EU law. Both the application of the so-called Gazprom clause in Article 11 of the Gas Directive, and the Article 36 exemption provision, require the involvement of the Commission. In addition, third parties may well seek review of any German decision ultimately in the EU courts. One approach that the Russian and German governments may be seeking to take to evade the application of EU law is to suggest that Nordstream 2 is not really under the control of Gazprom. 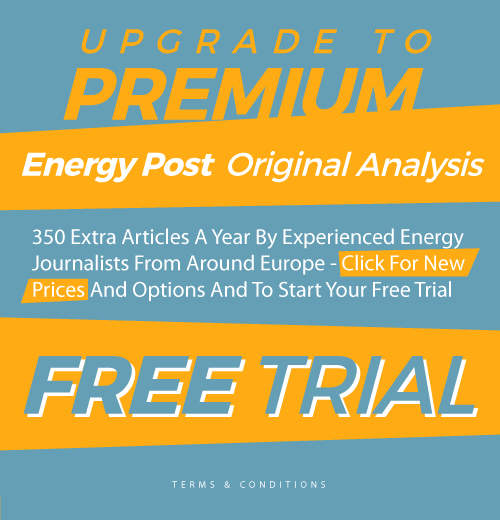 It is noticeable that two weeks after the meeting with the German Energy Minister, Engie, which had agreed to take a 9 percent shareholding in Nordstream 2, suddenly increased its stake to 10 percent, with Gazprom falling to 50 percent. However, the difficulty for the German and Russian governments is that the Gas Directive provides that the concept of control is governed by EU merger law. That law takes a much broader concept of control that is not limited to mere shareholdings. It looks at actual control and influence over an entity. Even a shareholding of 25 percent may be sufficient given the surrounding commercial relations and past history to give Gazprom control for the purposes of the Directive. Although Germany is the single most powerful country in the European Union, it does not own the EU, or EU law. It is extremely difficult to see how the German government can exclude ‘external meddling’ from the European Commission seeking to ensure uniform application of EU law across the whole territory of the Union. It will also be difficult to reduce Gazprom’s shareholding in a way that will permit the company to escape the concept of control in EU law. The Russian government may have sought in publicising the extent of German-Russian co-operation to push the German government to openly support Nordstream 2. It is likely that the actual effect of the transcript’s publication is the opposite. It has first alerted the European Commission to the extent of the willingness of the German government to subvert EU law, as well as the Central and Eastern European states. Secondly, the negative reaction to the publication of the transcript is likely to make German and corporate co-operation in evading EU law much more difficult to deliver. The overarching problem with Nordstream 2 is that the political context is so utterly different than that in the first decade of the twenty-first century, when there was a more cooperative relationship between the Russian Federation and the European Union. It is difficult to see how, for instance, the EU can support Nordstream 2, which will strip Ukraine of at least $2 billion in revenue and undermine its role as a major shipper of gas to Europe, while the EU is also seeking to stave off Ukraine’s collapse. The EU and the United States provided $17 billion in financing to Ukraine via the International Monetary Fund. Protecting Ukraine from collapse and promoting reform have become major objectives of the EU’s external policies. It is difficult to understand, therefore, why the EU should see any reason to support Nordstream 2, which has the effect—and, almost certainly, the intention—to undermine Ukraine. 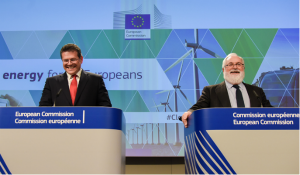 Equally, the European Union has committed itself, via the Energy Union program, to radically transform its energy markets. At the core of the Energy Union program is a commitment to reduce the supply dependency in the gas markets of member states that significantly depend on Gazprom. Nordstream also cuts across this objective. It seeks to undermine the supply security of states in Central and Eastern Europe, reducing their direct access to gas supplies and increasing their supply dependence on Gazprom. Again, it is difficult to see why the European Union should give any support to this project, given its negative impact on supply security. One can also note that, whether or not falling foul of EU policy objectives is enough to make Nordstream undeliverable, the fiscal and legal obstacles will suffice to do so. It is open to question how easy Gazprom will find it to raise the financing for an expensive natural gas pipeline in a shrinking market—where new competition is expected to enter the market, where further shrinkage may well occur, and where there is a considerable aversion to the product within the customer base. This is reinforced by the prospect of investors being deterred by the potential impact of sanctions and of Yukos claims. Brave investors, for a price, may ultimately be willing to provide funds to Gazprom. But at the very least, the cost of capital will not be cheap. The legal problems also impact upon the obstacles to raising capital. If both the offshore and connecting pipelines are subject to the full application of EU energy law, it is difficult to see how more than half the capacity of the pipeline will be able to be utilised in the market. Investors will be faced with the prospect of investing in a 55-bcm/y pipeline project, only half of which will be utilised. Nordstream 2 is likely to be subject to far greater scrutiny than Nordstream 1. Member states now have a greater understanding and experience of the rules than they did when Nordstream 1 was under construction, and can insist on full application. There is also the prospect that issues, such as application of the EU rules to the offshore pipeline network, may well be litigated all the way to the ECJ, further delaying the commencement of the project. There is also a question as to whether some member states may ask the Commission for an investigation of Nordstream 1’s compliance with the current law. If the Polish section of the Yamal Pipeline had to be adapted to be in compliance with EU law, then surely Nordstream 1 also must be brought into full compliance with EU law as well. The EU could also respond to Nordstream 2 in other ways. For instance, it could increase the capacity of the British and Spanish interconnectors, making it possible to make greater use of the 110 bcm/y of Anglo-Spanish gasification capacity. Greater capacity across the English Channel and the Pyrenees, combined with additional interconnectors to carry LNG-sourced gas into Central and Eastern Europe, could substantially offset the impact of Nordstream 2. No doubt, Moscow and its allies within the EU will lobby hard for Nordstream 2. 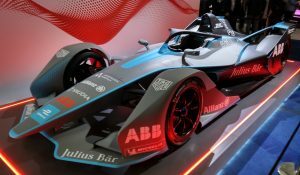 However, on this occasion, they may have taken on a project that is undeliverable, or only deliverable on terms they do not want to finance and will not deliver the market access they are seeking. This is a slightly shortened version of an article first published by The Atlantic Council’s Global Energy Center and Dinu Patriciu Eurasia Center. The full and annotated version can be found here. Alan Riley is a professor at City Law School in London. City University advises governments, EU institutions, NGO’s, and corporations on major strategic problems in relation to abuse of dominance, price-fixing, and merger cases concerning strategic problems in the global and European energy markets. Riley is also a Nonresident Senior Fellow with the Atlantic Council’s Global Energy Center. Additionally, he is an Associate Senior Research Fellow of the Institute for Statecraft and a regular guest columnist on competition and energy law issues with the Wall Street Journal, the New York Times, and the Financial Times. The Atlantic Council Global Energy Center works to promote global access to affordable, reliable and sustainable energy. It devises creative responses to energy-related geopolitical conflicts, advances sustainable energy solutions, and identifes trends to help develop energy strategies and policies that ensure long-term prosperity and security. Professor, your analysis is flawed, Article 36 applies to interconnections between EU Member States. It doesn’t apply in case of Nord Stream. It is much bettere, for the sake of energy security both Europe and Russia, not mentioning USA, Japan, China et. al., not to mix but separate as much as possible, the business and the policy.